Craspedophorus sublaevis, copyright Peter Geissler. 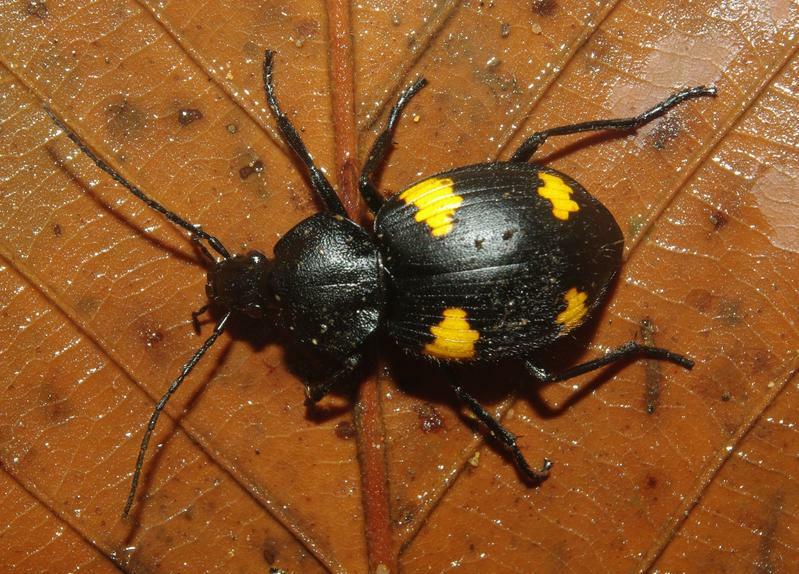 Craspedophorus is a genus of ground beetles widespread in the Palaeotropics, species of which have a distinctive colour pattern of four bright spots on the elytra and are often flightless. This coloration reflects the beetle's glandular production of defensive chemicals that are held in large reservoirs in the abdomen.